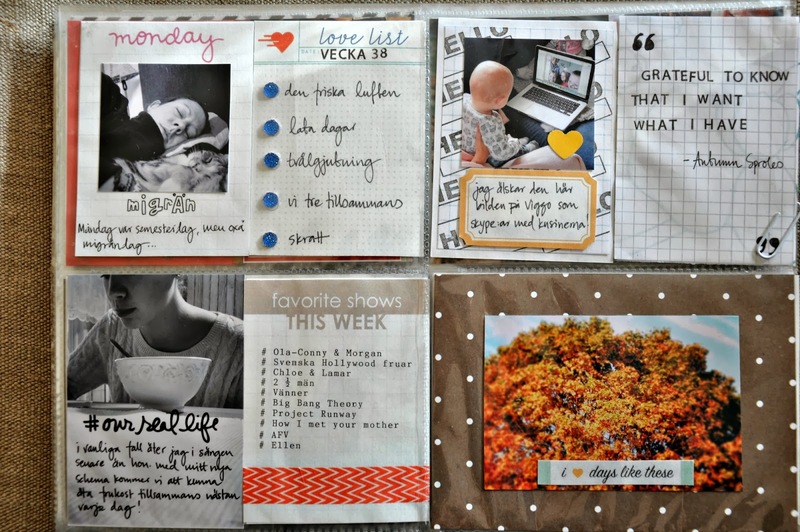 Last Saturday was Scrapbook Saturday over at WCS! That is when we reveal the months sketch, color palette and free cut file! Here is the sketch I worked with this month! I thought it was fun with the layers. I knew I wanted to do a layout about the garden this year and how well it has grown and gave us lots of goodies. I usually am pretty linear with the designs on my pages, but I rather liked the layered effect. Now, make sure to check out the other examples and also the palette and free downloadable cut file! Here is our week 38. This was a week of not that many photos and stories. Ofcourse stories were there, we lived :) But nothing out of the ordinary happened outside the stuff that I have been documenting all along. So I turned to lists. 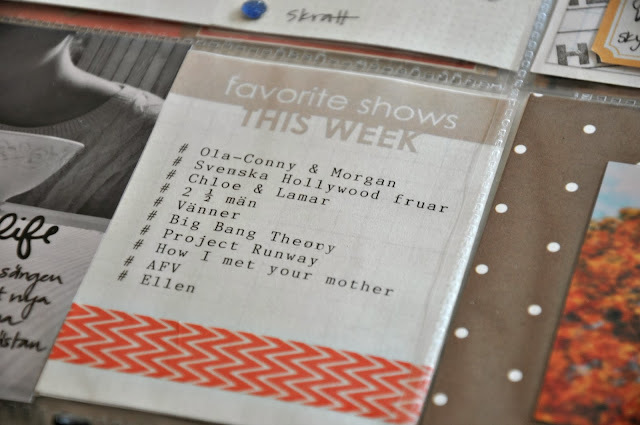 I listed things I love and the Tv shows we watch. I also added a quote. For the card with the baby looking at a screen (my cute nephew doing Skype with his cousins!) I stamped a Hello stamp that I bought at Elise´s stamp shop. I usually don´t use this photo format, but I loved that I could journal around that bottom left photo! I also used another stamp from Elise for that tomato card. I enjoyed making those. It was a super easy way to add a background! I used to share my favorite photos from Flickr all the time. I thought it was time to take that up again! September is coming to an end soon and so is the 30 lists in 30 days project. 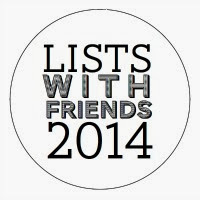 I have really enjoyed it and I love having the lists right in my Project Life spreads! I really liked the topics, but ofcourse I have a few favorites! Weekends are like gold to me while working. That is when I really relax and that can be seen in my list of essentials. 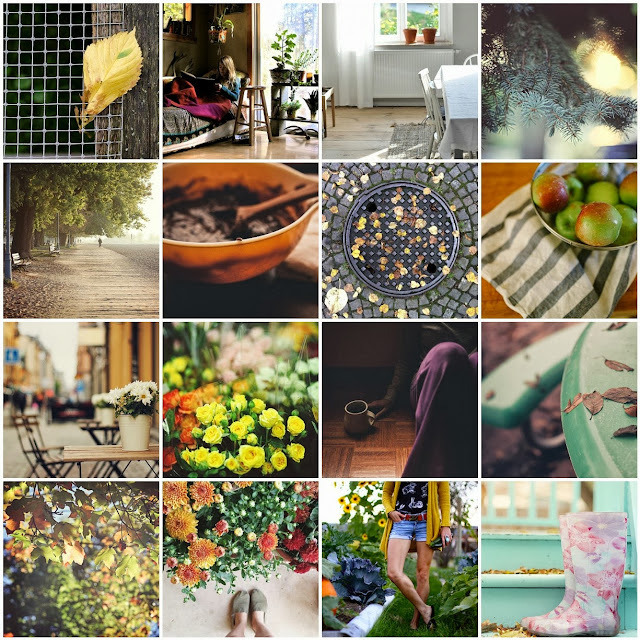 Autumn is my favorite season so a list about the things I love most about this month was easy! If you did the project, what were some of your favorites? 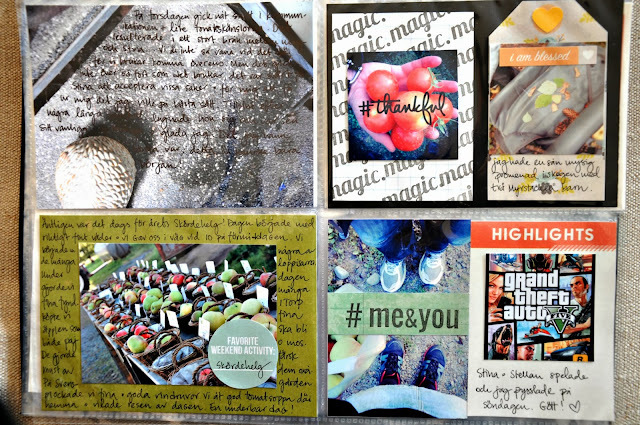 I am super happy that I have been making so many scrapbook pages lately! I love my Project Life album and really feel that I capture a lot of stories there, but the process of making a page is always inspiring. 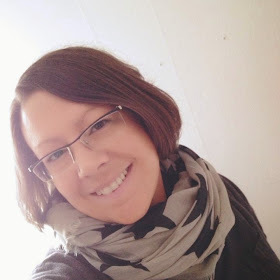 To use a patterned background is so unsual for me these days. But I thought that this black and white photo could handle a busier background. 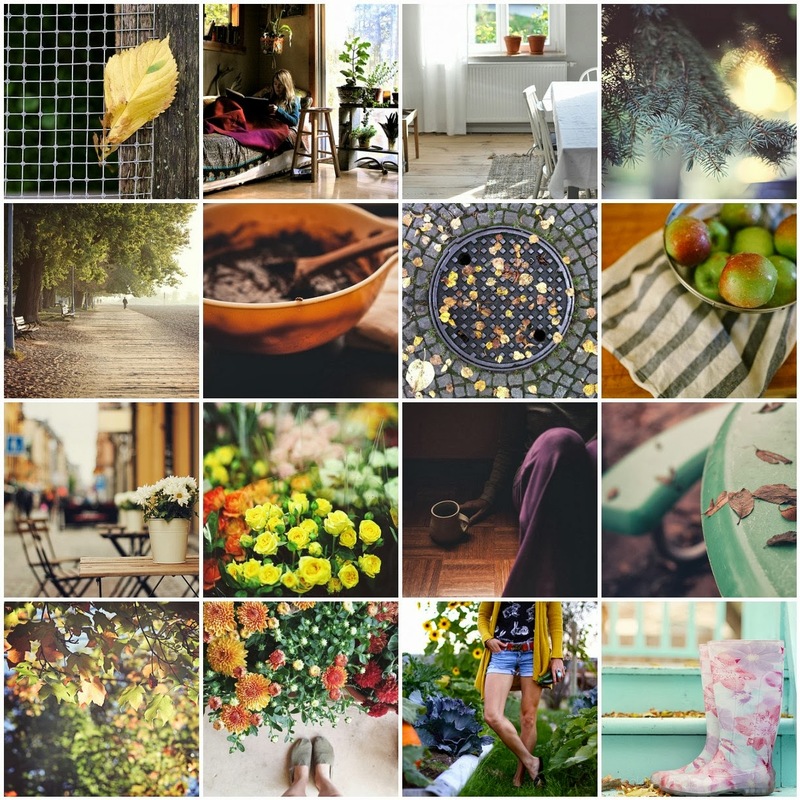 Yes, once again the 20th has arrived and I get to post a little sneak peek of what is coming in the October gallery at Write Click Scrapbook. I used the main kit from Cocoa Daisy that I recently became a subscriver of for my page. The yummy colors are perfect! You can check the other team members sneaks by going to the WCS site and click through on our names! I decided to make a layot with a few of my favorite moments from this summer. 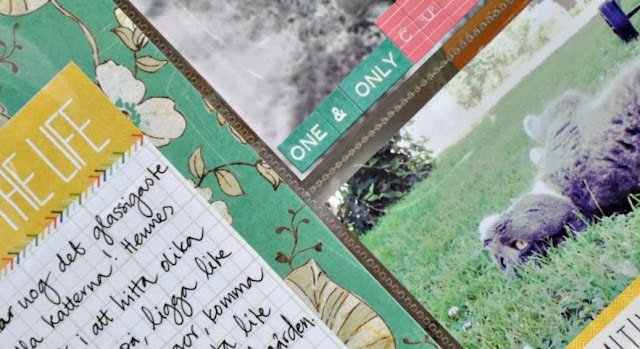 And as you can see I didn´t do much journaling and I guess what I wanted with this page was kind of to record how the summer felt; that we truely enjoyed it, spend time together both home and away etc. I love how the circles make a cluster! I also included a title card, which I seldom do. 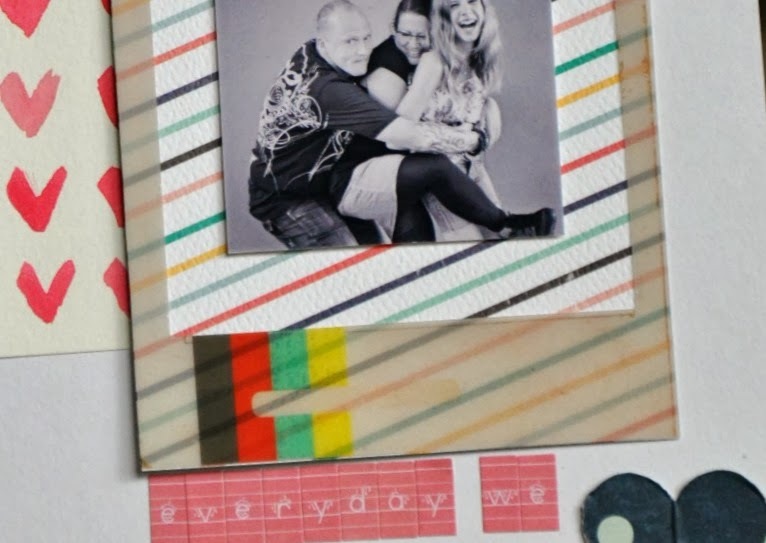 For Friday i had no photos but I journaled about our day and used a photo my daughters stepmom texted me of the siblings :) I feel so happy and blessed that we all have a great relationship and feel like we can send photos and stories back and forth! I also included a short gratitude list to the second page. This is something I will do again! It also inspired me to include other lists more often for example a reading log, what we are watching, loving etc. And ofcourse I had my second weeks worth of #30 days of lists right in there too! I collected all the photos I took this summer of where I stood :) It is such a fun thing to do and I feel it tells a story. 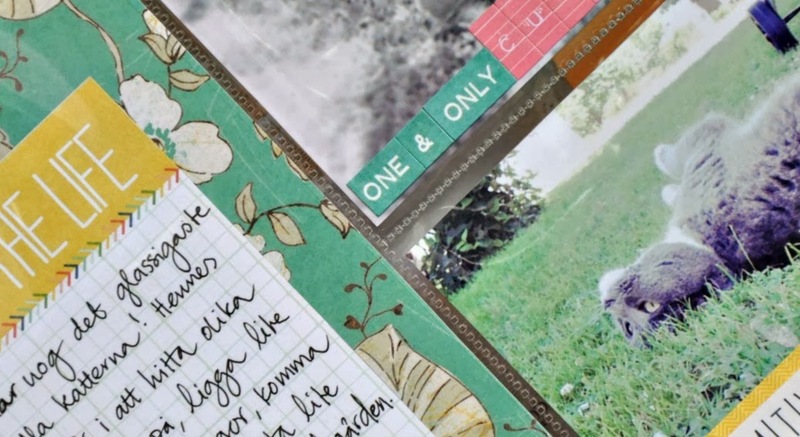 Journaling simply says: I love that these photos show that I have enjoyed the summer in many different places and ways. This is super simple! I loved the words in this post and I knew I wanted to do something with it. So I typed the words out myself on my computer. Printed them and then added everything else! I have used some embroidery stitching on this page. I have done it before and love the way id adds something to a page. For this one I printed the word on my printer before and layed the printed word ontop of the background paper. I attached a tiny bit of washi tape and poked holes along the letters. Then I stiched in the holes. The cute butterfly is from a free printable found here!